Also, with the need of a Java Virtual machine started by the browser, a few configuration and setup steps are needed. 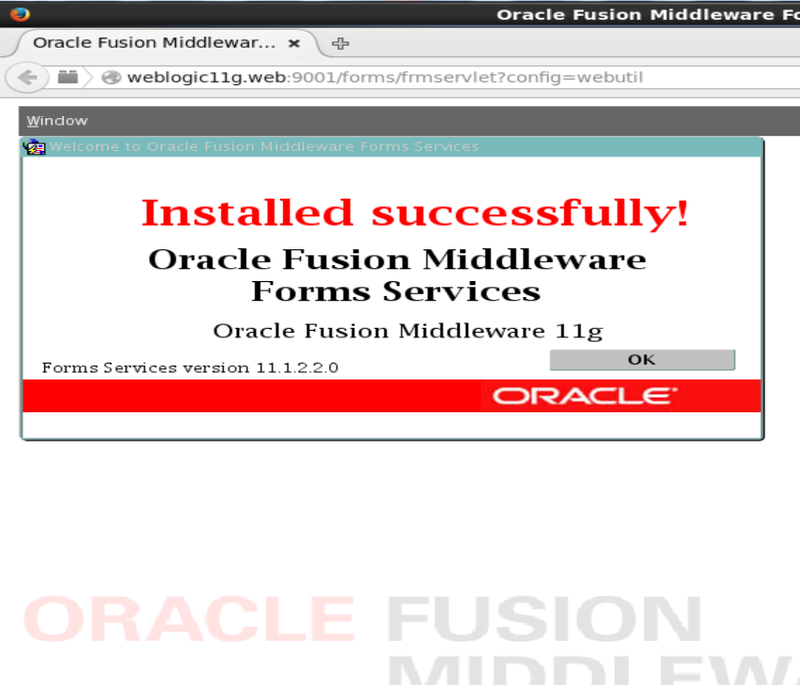 This article's objective is to provide a step-by-step procedure to run and configure the Firefox browser on an Oracle Weblogic Server running on Oracle Linux 6.7 OS and using Java version 1.7.80 via Forms Builder. If you use Firefox on a Linux distribution, the first step is to configure the Java plugin. First, create a link to the JRE library in the Firefox plugins directory that contains the virtual machine to run the browser. The following script “firefox_config.sh” can perform this task. echo "ERROR : Environment variable ORACLE_HOME not set properly." echo "ERROR : Java Environment not found." echo "Installation of Java’s Plugin for Firefox successfully terminated." echo "To test the plugin, please close then restart Firefox." 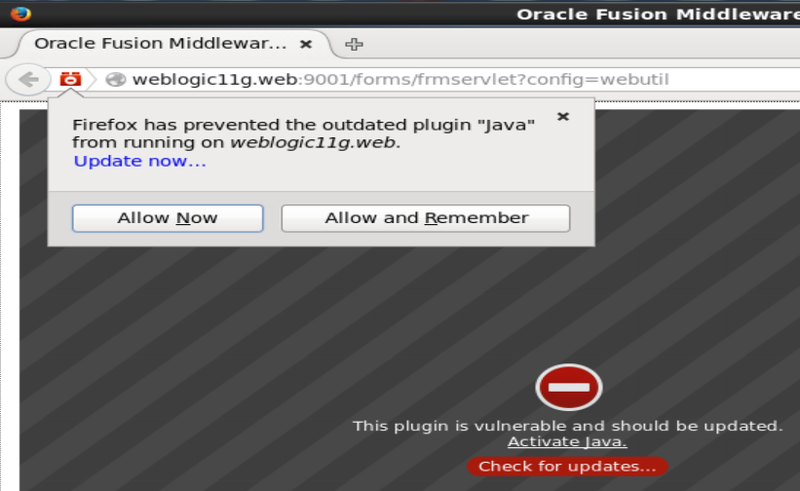 The Oracle Weblogic Application Server checks the Java version of the installed plugin in the browser. If it’s not 1.6.0.35 version, the browser will ask to download the version of the plugin. 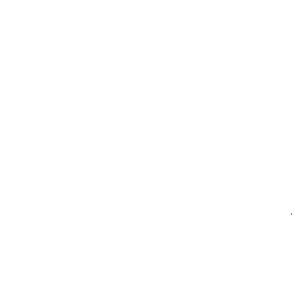 When installing Forms on our machine, current plugin versions are over 1.6.0.35. 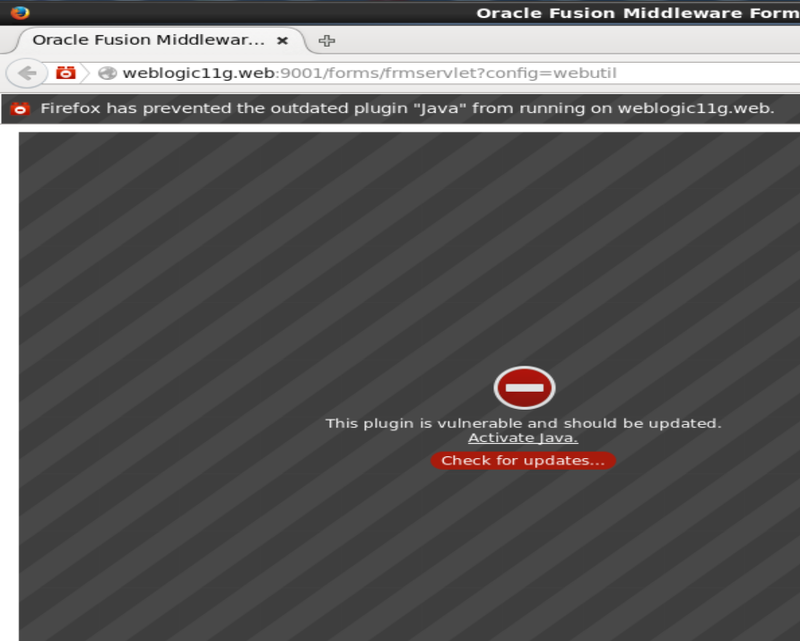 The Oracle Weblogic application will check the Java version installed on Firefox. If it’s not at least 1.6.0.35, Firefox will require the latest version of Java. echo "ERROR : Environment variable MW_HOME not set properly." echo "ERROR : File formsweb.cfg not found." echo "JRE version check is enabled. Disabling..."
echo "JRE version check is disabled." The message “This plugin is vulnerable and should be updated” don’t indicate a problem but simply means we need to activate the plugin. To do so, just click the “Activate Java” link. A popup message is displayed as shown below. Click “Allow and Remember” to keep Firefox using this permanently. Finally, the Java security popup will request your confirmation to access the application. If you want to avoid this popup next time you open the application, tick the “Always trust content from this published” box before hitting the “Run” button. 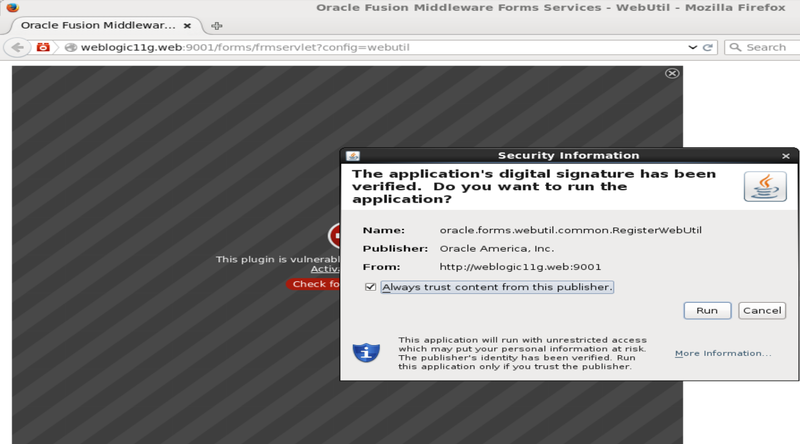 Congratulations, the Oracle Forms 11g application is running on Firefox as excepted !